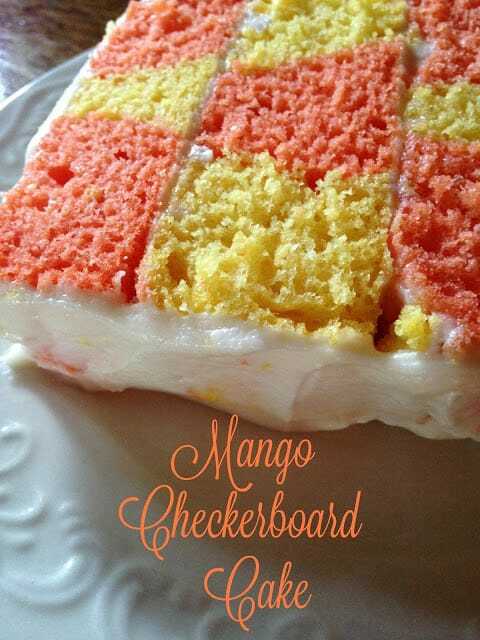 Mango Checkerboard Cake came about after I found this Vintage Rowoco 4 piece checkered cake mold set at a thrift store for $1.00. The outside packaging was badly damaged but everything else was intact. I am a sucker for gadgets and vintage kitchen pans. Normally I bring the “gadget” I find home, throw it in my big “to try later” drawer and usually forget about it for a few months..sometimes even for a few years. I think I had this pan in my drawer for over a year until one day my grandson found it. When my grandson found it… he said, “Hey Grandma, can we make a checkered cake?” I said, “Well certainly, my dear grandson!” So we proceeded to make our first checkered cake. 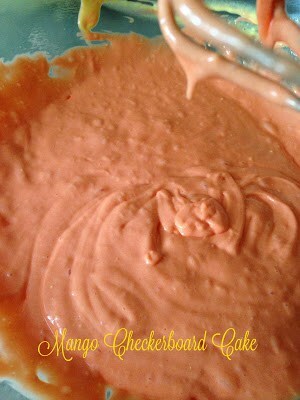 I always keep a few boxes of cake mixes and containers of frosting on hand for when my grandson comes for a visit. My grandson loves to help me make cookies and cupcakes and he loves to eat them too. Preheat oven to 350. Grease and flour checkerboard pans and inserts. In a large bowl, combine cake mix, water, oil and eggs. 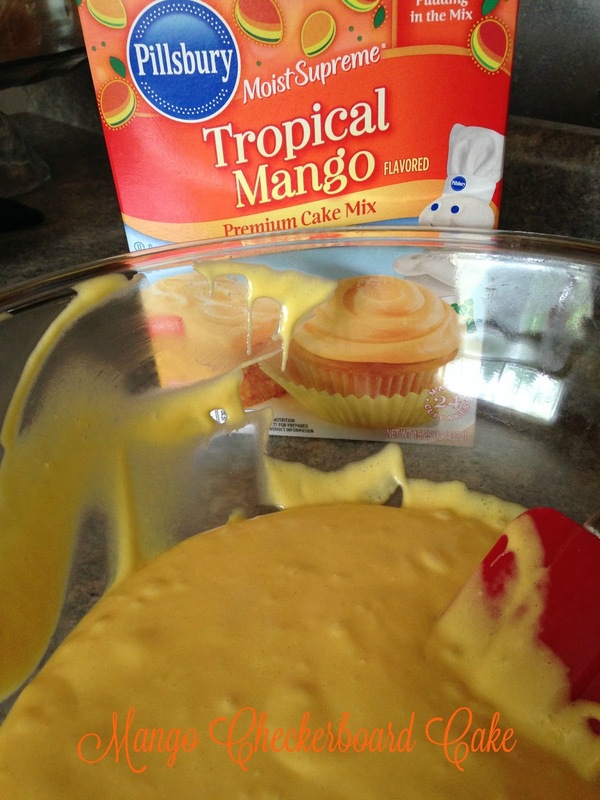 With an electric mixer on low speed, mix until moistened. Beat on medium high for 2 minutes. Divide batter in half and place half of the batter in a medium glass bowl. Add 2 to 3 drops of food coloring gel to one batter half. Mix on low speed until combined. 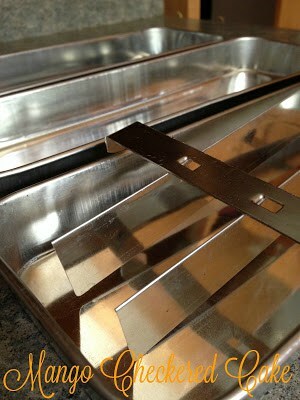 Carefully remove divider(s) from pans, lifting up slowly by the edges. 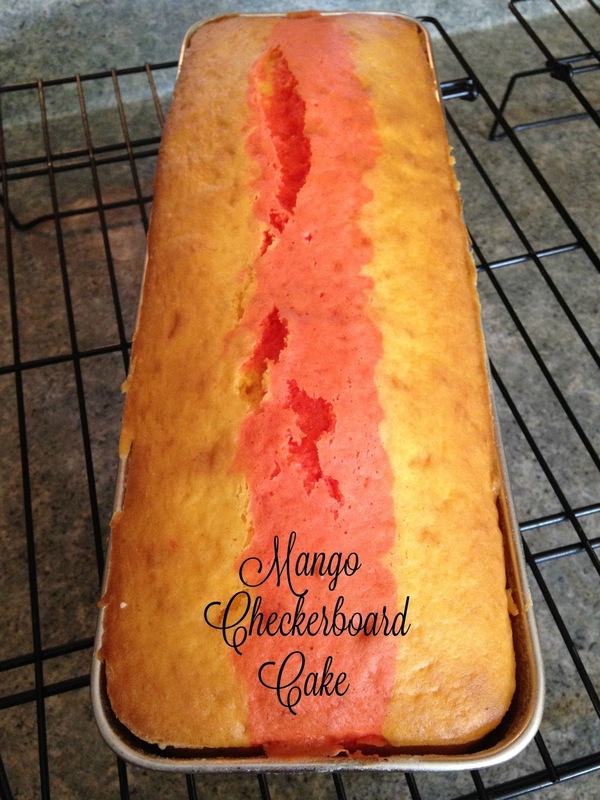 Bake at 350º until toothpick inserted in the middle comes out clean, about 25 to 35 minutes. 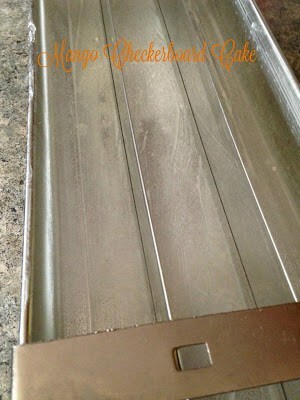 Remove pans from oven, cool on wire racks for 10 minutes. 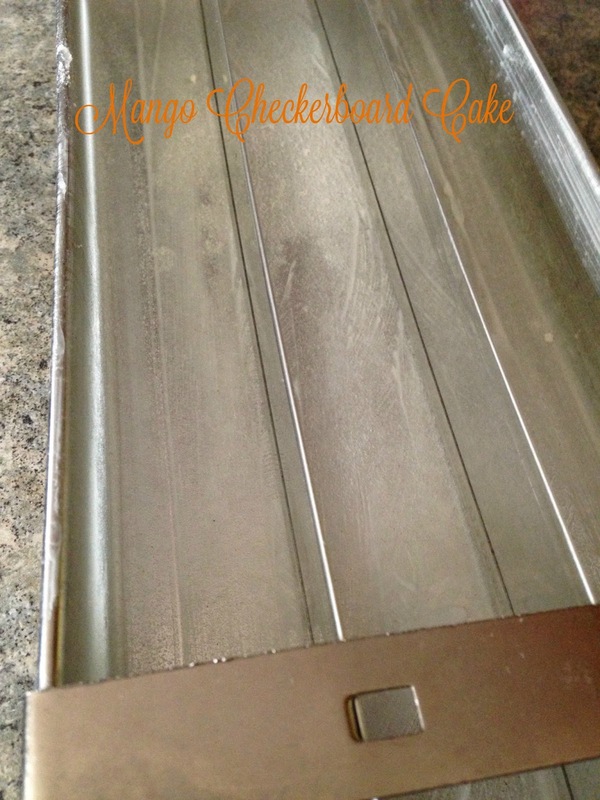 Carefully remove cakes from pans and cool on wire racks until cakes are cold. Place cake from first pan on a serving plate, brush off crumbs, frost top. 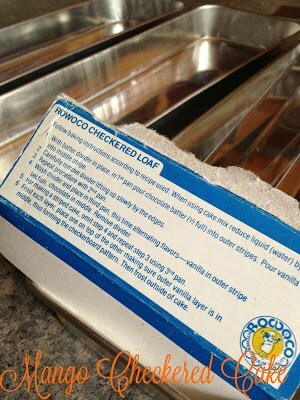 Place cake from second pan on top of frosting, brush off the crumbs and frost top. 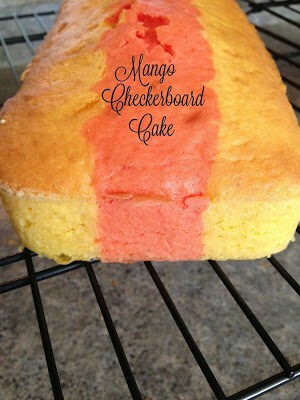 Place cake from third pan on top of frosting, brush off crumbs and frost top. 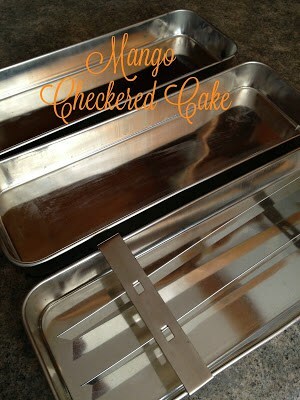 Place cake from fourth pan on top, brush off crumbs, frost the top and sides of cake. 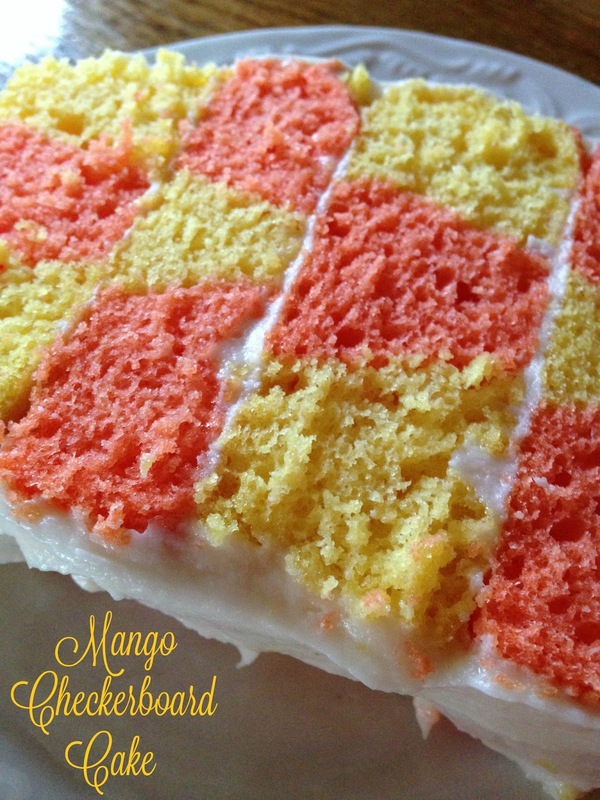 When you cut the cake you should have a checkerboard pattern. *This is not a sponsored post. T2T is dedicated to passing along food finds to its readers.